HOW DOES YOUR BRAND SCORE IN TERMS OF SOUND? 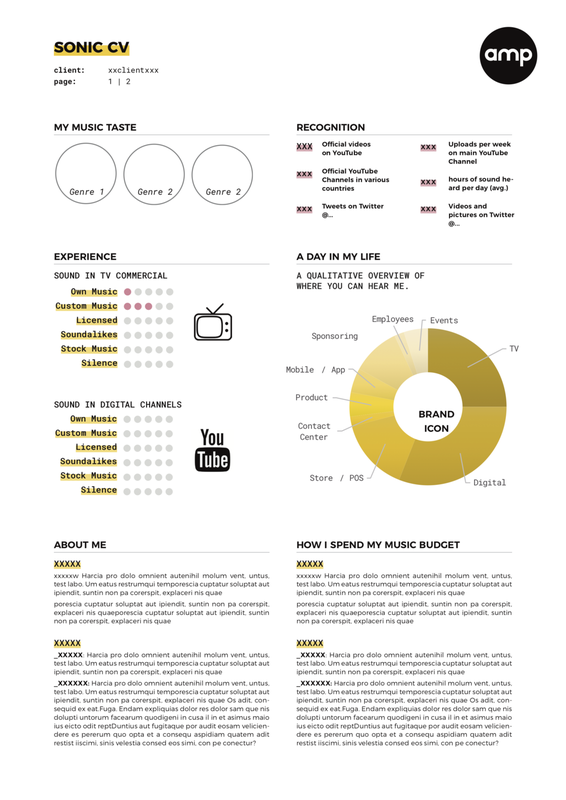 IF YOUR BRAND WAS A PERSON, WHAT WOULD YOUR SONIC CV LOOK LIKE? the quality of your brand's sound is not determined by gut instinct – it's measurable. We at amp analyze sound identities in the form of a Sonic CV - a quantitative and qualitative overview of your brand's skills, recognition and experience. 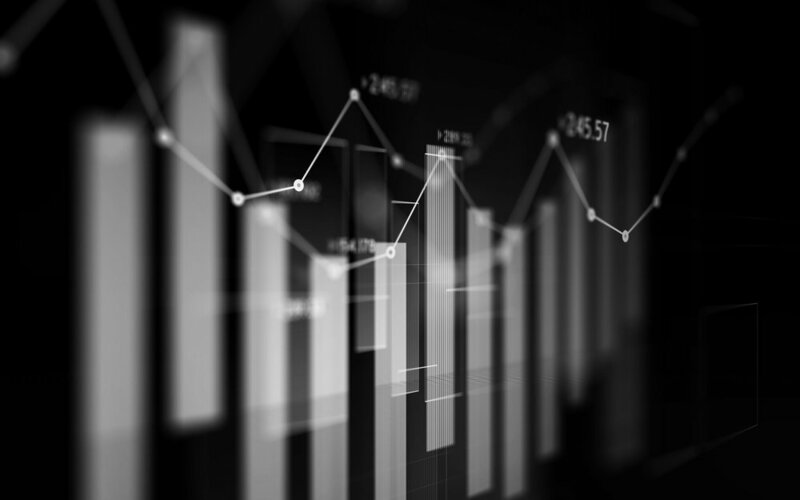 For this analysis, we examine your brand's various touchpoint in detail, from digital channels to TV & Radio, Brand Spaces and Contact Centers. We are able to schedule an interactive workshop with your branding/marketing teams to present our analysis of your existing Brand Sound. During this workshop we will demonstrate the strengths and shortcomings of your Audio Strategy, offering ways to improve and consolidate your audible communication. amp is transforming the sound of retail. Features a “Play” button, and an option to cycle through other programs. Programs contain playlists scheduled at specific times of the day. Each program is synchronized for all store clients - behaving just like a radio station. Stores in different parts of the world can be grouped to have their program's synchronized. Announcements and soundscapes can be programmed in place of song playlists. Holiday and themed playlists can be implemented at any time. Offline functionality, in case of missing WIFI connection. These days, audio-visual production teams are creating digital films at a swift rate. Films are now produced en masse for YouTube, Facebook, other digital platforms, and TV. Due to the frequency and vast number of these productions, music tends to be an after-thought. This leads to the frequent use of random stock music. We know that brand songs and corporate music can be stiff and rigid. We have the solution: the Sound Identities we create allow you to remain flexible in all contexts. amp ARCHIVES, CATEGORIZES AND DISTRIBUTES your music THROUGH A DIGITAL MUSIC BANK. amp's digital platform stores, categorizes and filters your music bank. Our very own tagging system helps your production teams search and find tracks that suit their purposes and needs. You won't find stock music here AS EACH TRACK IS DERIVED FROM YOUR BRAND SOUND DNA. _each uploaded music bank track belongs exclusively to your brand. _all tracks can be downloaded in multiple formats (as stems, audio construction kit clips, etc.) offering complete flexibility for agencies and production teams to create new soundtracks.